It's our first Christmas with my daughter at college, and we want to do something extra special for our holidays meals when she comes home! One meal that we are especially fond of is breakfast, and we like to really make this meal the focus for all of our festive fun. A perfect food to serve this time of year has to be the bagel. It's versatile, and can be topped with anything! 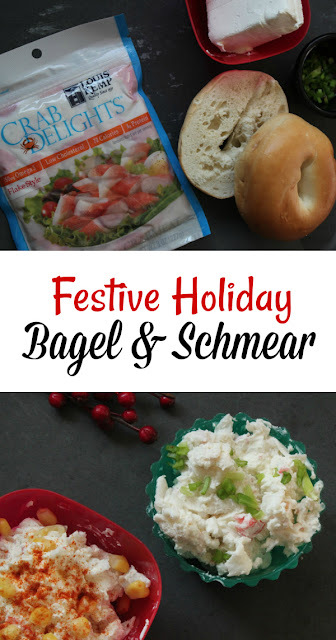 I decided to take my favorite seafood product and incorporate it into a "bagel and schmear" meal the whole family will love! 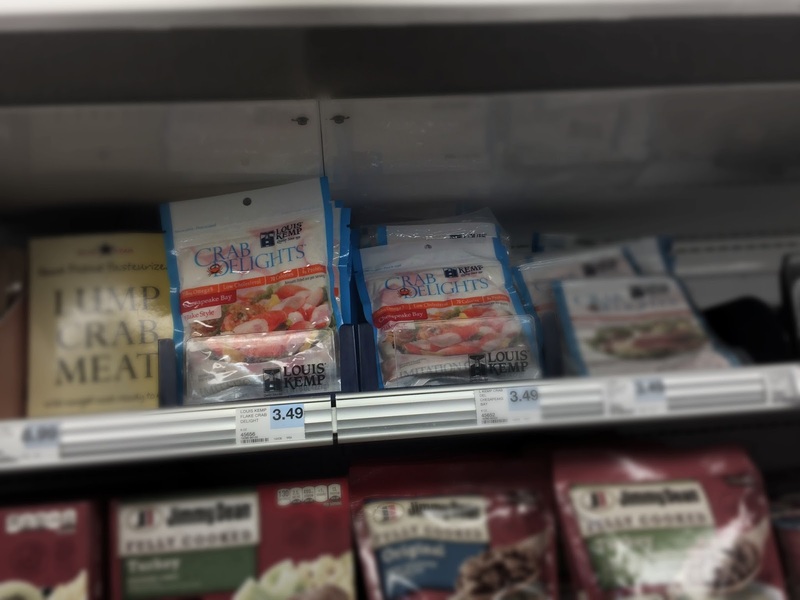 They are made with premium Wild Alaskan Pollock fillets and can be found in the refrigerated section where meat or cheese or kept. This breakfast idea couldn't be more simple, but it's also open to all kinds of customization. As you're reading through how I make it, be sure to creatively think of all the ways you can put your own spin on it! For the base, simply mix in the full package of the Crab Delights with a full package of cream cheese. You can choose to let the cream cheese to soften a bit before you use (it's easier to mix in), or I like to put both into my stand mixer and let the beaters do the work. This also creates a more texturally-appealing spread. Divide the mixture into two separate bowls. Now, to customize! For the smoky corn spread, you'll take one bowl and mix in the corn and paprika well. For the other, simply mix in the chopped onion. We use Louis Kemp Crab Delights for many different recipes during the holidays. This recipe can also be adapted for an appetizer. Just top your favorite buttery cracker with it! I guarantee there will be nothing left -- as guests love it! Wanna Save? You can get $1.00 OFF Louis Kemp® Crab Delights® with this coupon.